Who doesn’t love an old beauty? 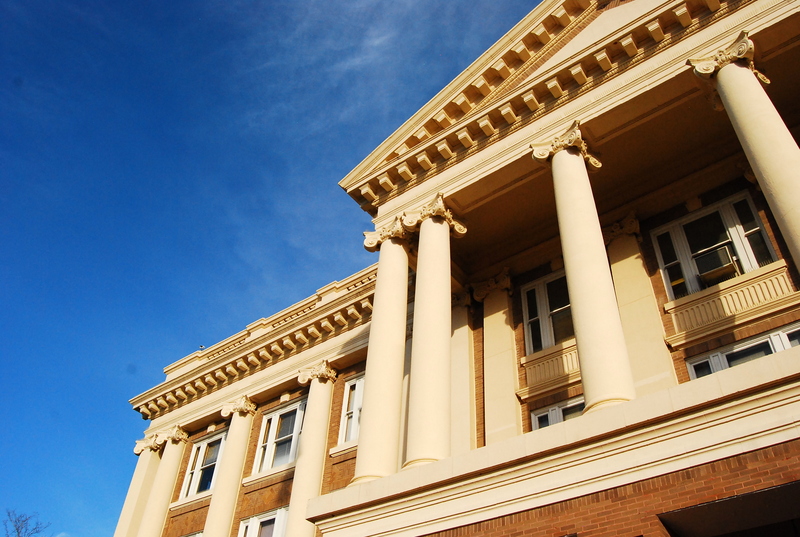 Today I want to share with you some images of beautiful example of Beaux-Arts architecture in Anderson County, Texas. 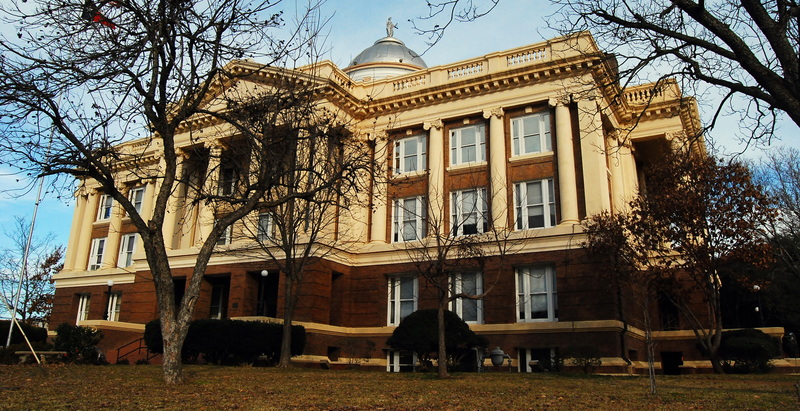 The Anderson County courthouse, located in the county seat of Palestine, is the fourth that the county has had over the years, replacing the third courthouse which burned down in 1913. 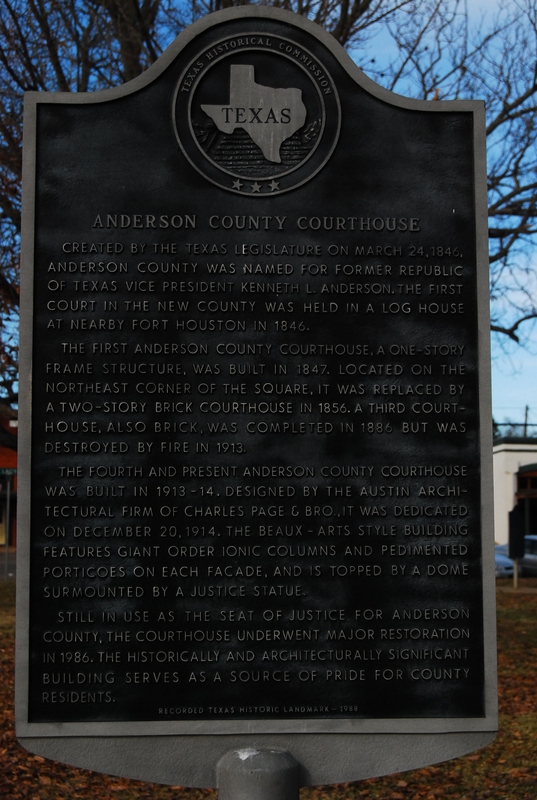 I lived in Anderson County in the early 2000’s, and went to this courthouse for various business purposes then. 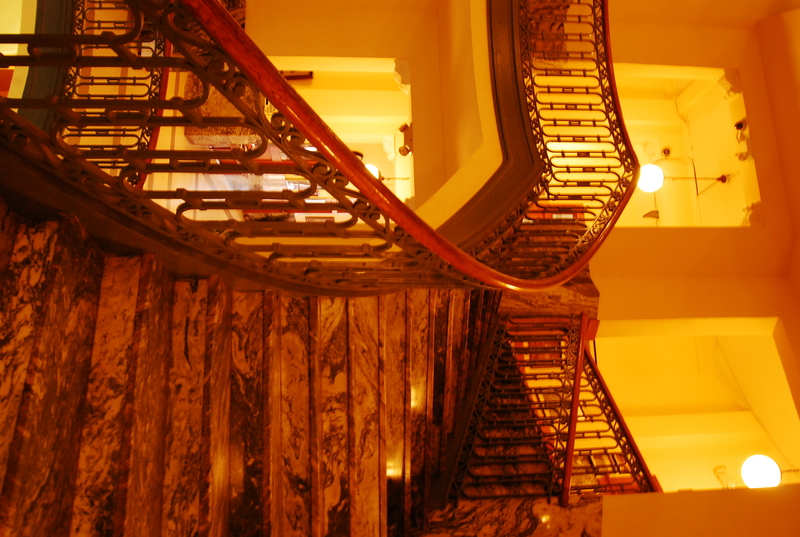 I was amazed by the beauty of this architectural gem the first time I went inside. 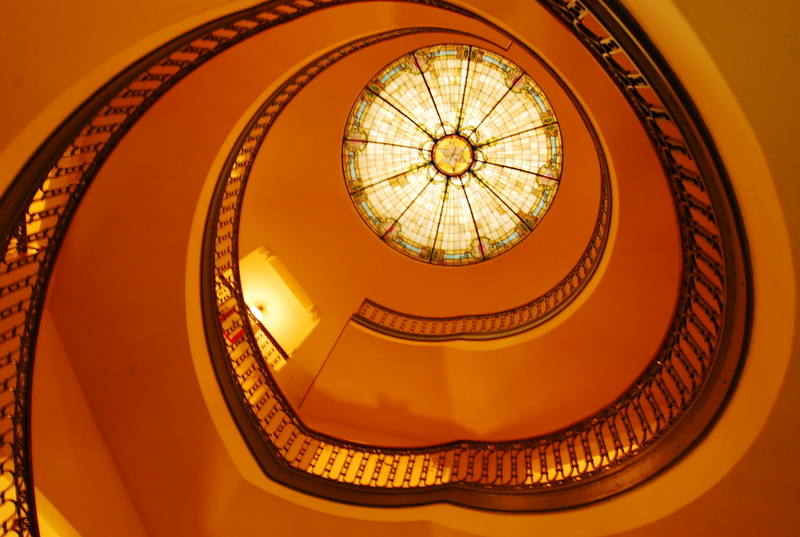 I climbed the gray and white marble spiral staircases and looked up at the domed stained glass ceiling, the painted mural on the floor, and all the other beautiful features that are so unique, like the light fixtures. It’s a really special place. Last week I was taking pictures for the community pages I run for KLTV.com, and was excited to be heading down to Palestine once again, this time to get photos for KLTV Where You Live- Palestine, our Anderson county-area website. 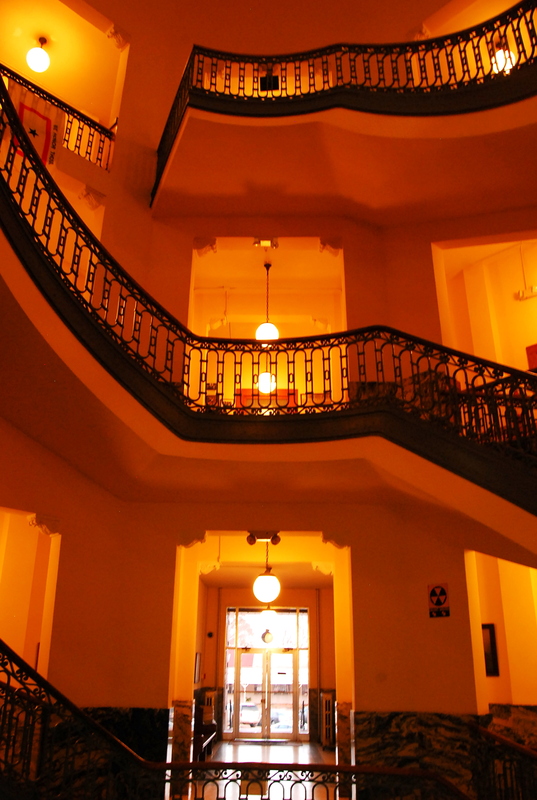 This building is lovely, inside even more than outside, and I couldn’t help but think how pretty the staircases would be for a bride to walk down during a wedding. I hope you enjoy the pictures as you take this little mini-trip with me. Clicking on any picture will take you to a larger version of the picture. Looking from the bottom level up to the dome. 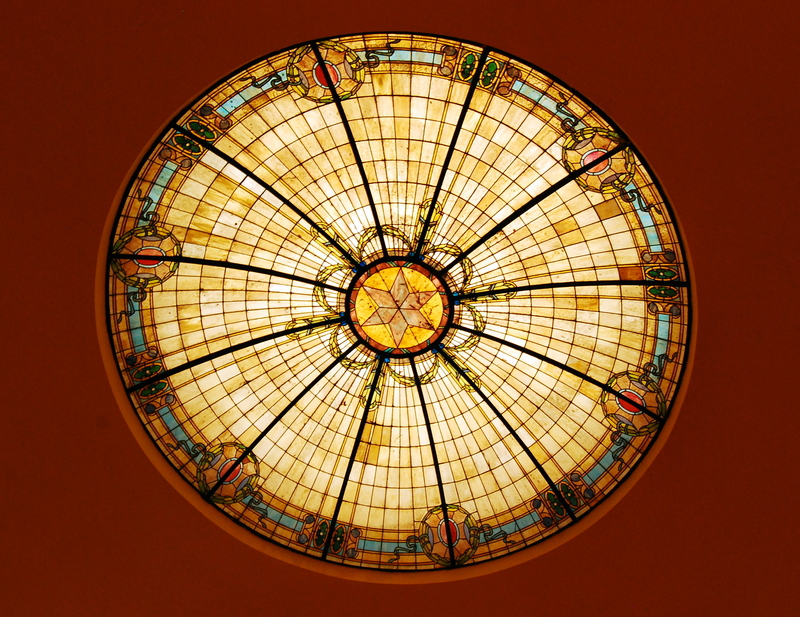 The stained glass ceiling of the dome. 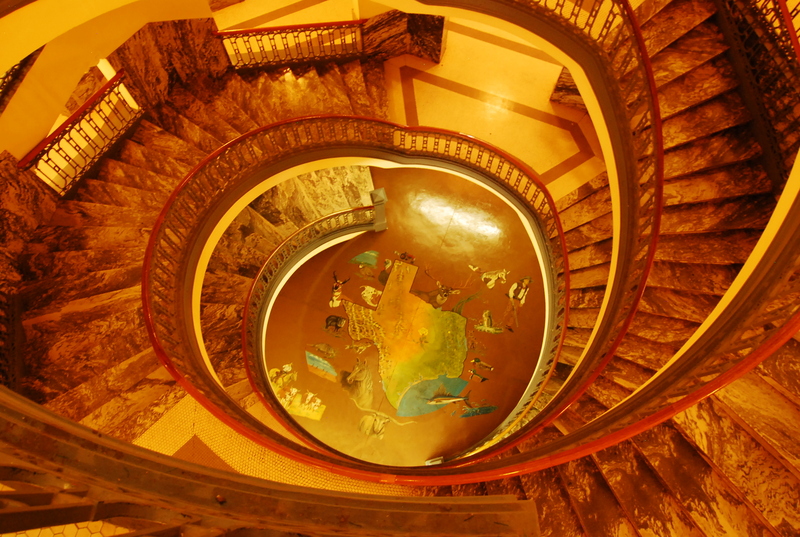 ....at the top looking down to the mural of Texas on the ground floor. 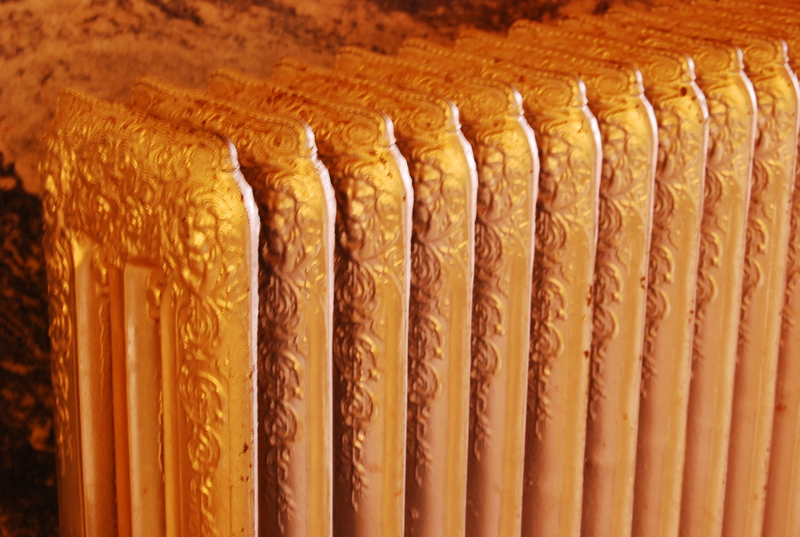 Detail of a cast iron radiator in the entry. Is there a special architectural structure in your town? I’d love to see a picture or two. Post a link to it in the comments section, below, if so! All images and text copyright 2012 by Stephanie Frazier. All rights reserved. So beautiful! 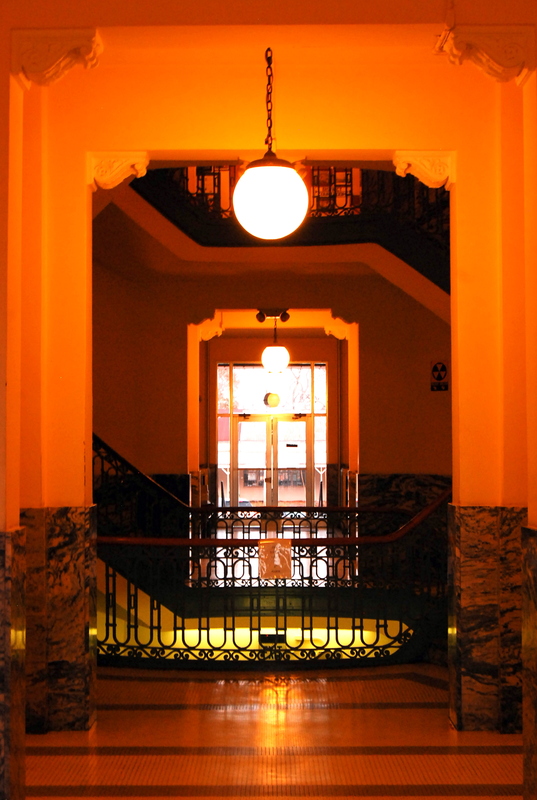 Love old architecture. Hi Amy! Thanks; I love it, too! 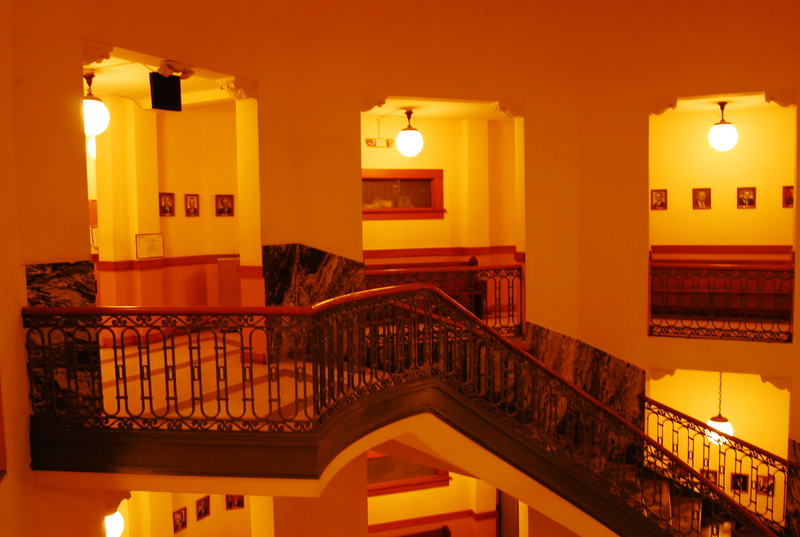 It’s so wonderful to just be in an old building and “feel” it. They just have a different feel than new places, don’t they? Thanks for the beautiful pictures. I lived in Palestine when I was a child and my mom worked there when I was older. I haven’t been inside in years, so I enjoyed seeing the pictures. I wish that you could, too, sweet lady, but yes, let’s dream of the beauty of NOLA together! 🙂 I love that place. I have a few pictures here on my photography tab, but I’d love to go back to get more someday soon.